‘Open Bridges: A River Full Of Stories’, gathering stories to preserve the heritage of the River Hull, its bridges and the people and vessels which have used it over the years. With the support of the Heritage Lottery Fund, we will produce a film, exhibition, website and a book which will be given to each library and museum in Hull and the East Riding. Another great day sharing memories of life on the River Hull over the years for Open Bridges: A River Full Of Stories. 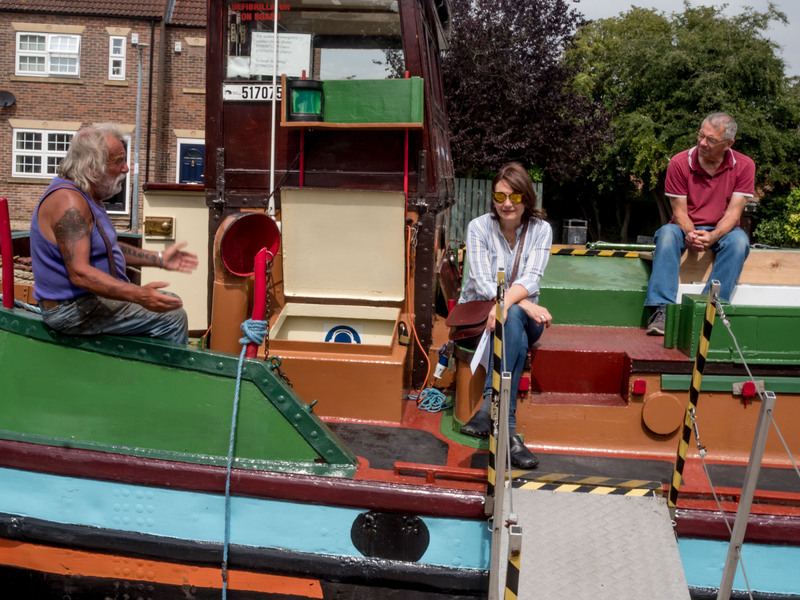 Thanks to Beverley Barge Preservation Society Chairperson Iain Cambell and members, to Dave Tulloch and Norman Hardy, John Whittles and Allan Lister and the Open Bridges team today, Andy Richardson and Alex Davies.